We only want to do the best for our children. But in our effort to prepare them for the competitiveness of the world they live in and will grow up in, are we losing sight of their right to the beauty and simplicity of childhood? I recently overheard a conversation between a mother and her eight-year-old daughter. The mother was not happy with the girl about the grades she received for an exam — even though the girl, in my opinion, got pretty amazing results. The mother berated the girl for her lack of motivation and competition since her friends had “done so much better” than she had. It was the look on the girl’s face that struck me. She didn’t look sad or even angry in the face of her mother’s rant. And when we talk about human rights — or the lack of them — our minds immediately shift to large-scale global events, such as the plight of refugees, racism and xenophobia, or the abuse of women. These (and others) are indeed burning issues that more than deserve the attention of high level policy and decision makers around the world. But sometimes in the face of such large issues, we lose sight of small everyday battles that people fight for their rights, their freedom. Sometimes, these individuals are our very own children. And so I come back to the little girl in the bus. Unarguably, it’s an increasingly competitive world that we live in. When they are adults, our children are going to be smack-bang in the middle of all this competitiveness. With this, it seems only right and practical that we “train” our children to fight to survive in this world. So we send them for tuition classes starting from when they are very young, we make them prepare months in advance for exams, and we get caught up in the whole “my child’s Scholarship/Ordinary Level/ term test/ Advanced Level results are better than your child’s” battle. Of course, when parents do this, they only have their child’s best interests at heart. But are we missing something really important in this process of preparing our kids to face the future? Children are vulnerable and often don’t have a powerful enough “voice” to speak up for themselves. And sometimes, adults forget this. 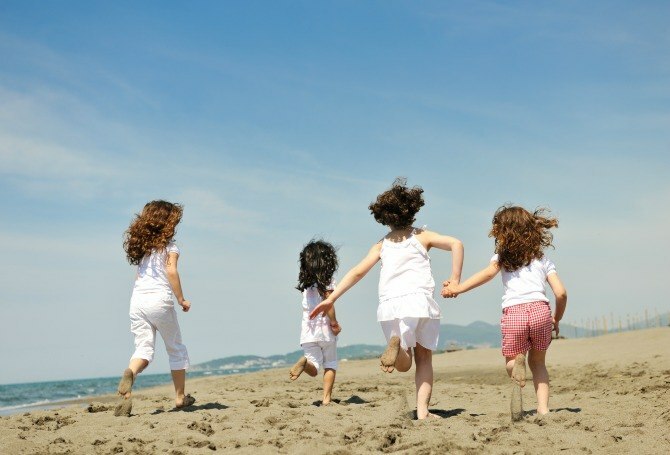 Caught up in the rat race created by us adults, many kids these days are missing out on the freedom we enjoyed as children ourselves. Where is the time for them to play when they have to rush from one tuition class to another? When can they dream about what ever they wish to dream about, when we hassle them to focus, to concentrate for the sake of their studies? What are we doing to our children’s self-esteem when we can’t praise them for a good grade, but instead berate them for not doing better? Where is their freedom, their right, to enjoy being a child? The Declaration of Geneva states, “Humanity has to do its best for the child.” While this includes individual, collective, economic, social and cultural rights, and more — let’s not forget the smaller, simpler rights that our little ones are entitled to as well. So, let them play. Give them the freedom to laugh and dream like we did when we were young. Help them feel proud of themselves when they achieve something, as small as it may be in adult eyes. Let them be children and enjoy the beauty and simplicity of childhood, because childhood is all too short and its magic is unrecoverable. Do share your thoughts on this article in a comment below. We’d love to hear from you!